Yesterday I shared my Refrigerator Grocery Staples with you - and today I'm sharing a delicious recipe and my favourite kitchen gadget of the moment! This recipe is a winner - it contains both a fruit and a vegetable and is so delicious no one will ever know. That means it's perfect for fussy kids (or partners! ;P). But, you're probably like me and thinking My gosh.. think of all that grating - uggh. That's where my favourite kitchen gadget comes into play. I was lucky enough to get my hands on a Tefal Fresh Express from my friends at Kitchenware Direct. 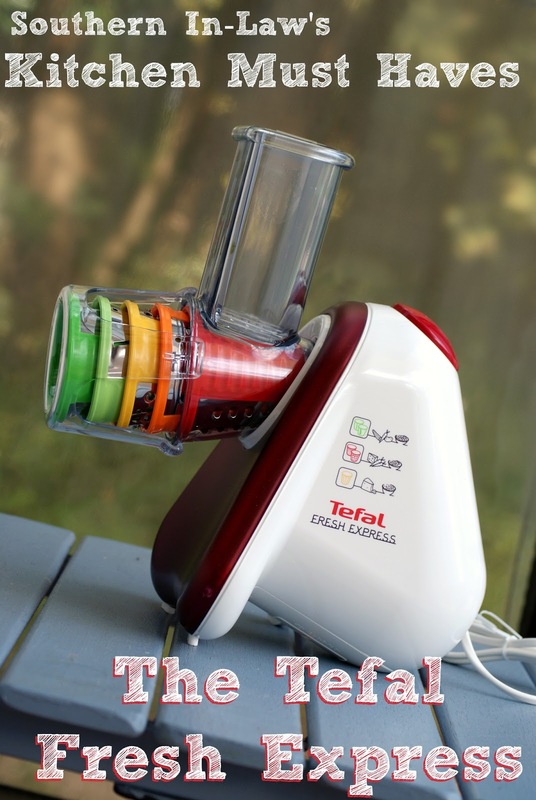 The Tefal Fresh express is basically an electric grater - it does all of the work for you. 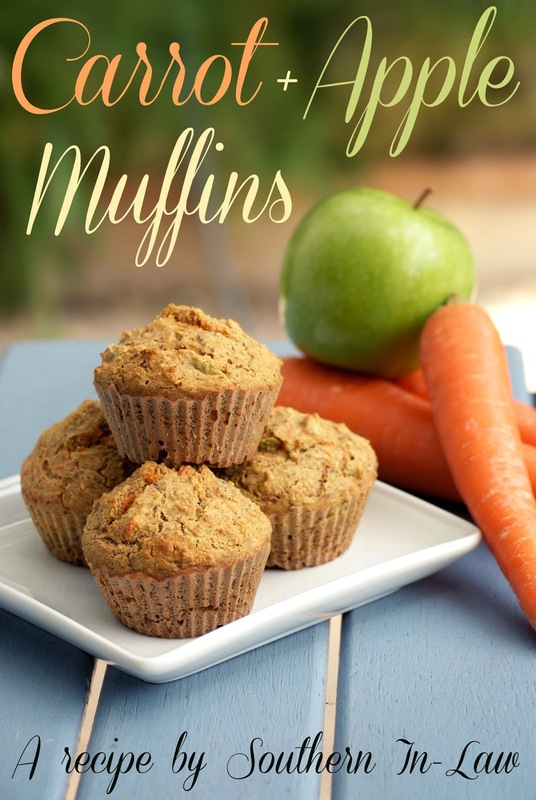 At first I thought I'd use it for recipes like Carrot Cake Oatmeal and Zucchini Banana Muffins - but little did I know I would be using it daily. The Fresh Express makes it really easy to add extra veggies to everything - I am always grating up carrots or zucchinis and adding them into what I'm cooking. Here's a quick video of the different blades (there's 5 for different types of foods and grating needs) and to show you how quickly it grates! The Tefal Fresh Express definitely halved the prep time for this recipe - all I had to do was slightly chop up the apple and peel the carrot and it was time to grate. The only slight problem was that it wasn't a fan of the apple peel but that came out of the machine without any trouble. Now lets get onto the recipe, shall we? 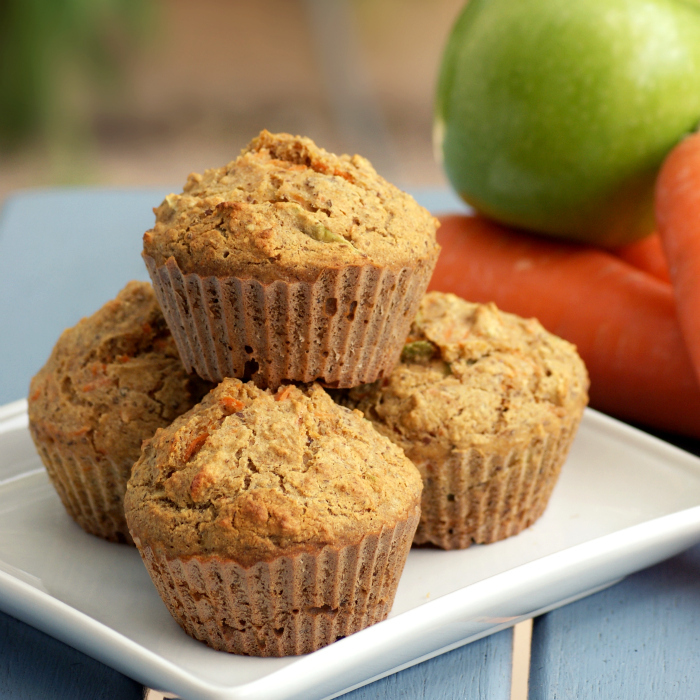 These Carrot and Apple Muffins are perfect for sneaking in a little extra veggies in a kid friendly muffin! 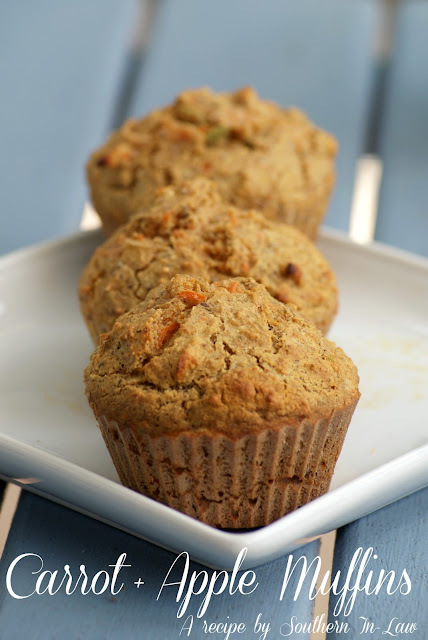 In a bowl, mix flour, oatmeal, flaxseed, baking powder, baking soda and cinnamon. In another bowl, stir together eggs (or replacement), applesauce, honey and grated carrot and apple. Mix the wet ingredients into the dry ingredients, stirring until just combined. Spoon into muffin tins and bake for around 15-20 minutes, or until a skewer inserted removes clean. So tell me, what's your favourite kitchen gadget? those look delicious and super healthy, too. Healthy muffins are the best! My favorite appliance would have to be my mini-food processor that is sadly back in the states. I miss it! The muffins look so yummy! I love cinnamon flavored things. I like how it's healthy too. I wonder if it tastes like carrot cake? I know there's apple but I'm just wondering. lol. Also I am requesting a post topic- what to buy from iherb. I went on their the other day and totally blanked out on things to buy. I always think of stuff to get when Im not on it then forget when I am. I will definitely be putting together an iHerb post! Generally speaking, I only buy food products from there - plus a couple of supplements - but I LOVE the site. What do you use to grind your oatmeal and flaxseed? Hi! I've made these at least 3 times since I pinned this. Sometimes with egg, sometimes with the extra applesauce, and once I didn't have the flax, so I used chia seeds.......all three ways turned out beautifully! My kids love them and so do I. Thank you so much for this delicious recipe! Oh Teresa, you are so sweet! Thank you so much for leaving a comment - I'm so glad you love them!